Quirky neighbourhood maps have gotten a whole lot more popular in recent years, as Toronto has experienced something of a swell in urban pride (Rob Ford notwithstanding). Along with the ever popular Ork poster and Dave Murray's word cloud offerings, there's a mini map making industry devoted to charting Toronto in new and unique ways. 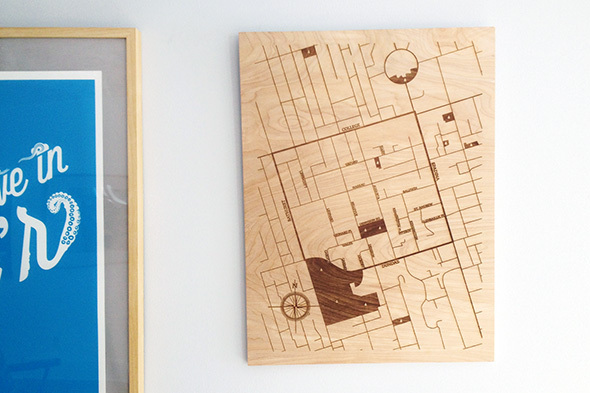 I haven't, however, seen local maps to rival the stature of these laser engraved offerings from Ottawa-based company N-Product. 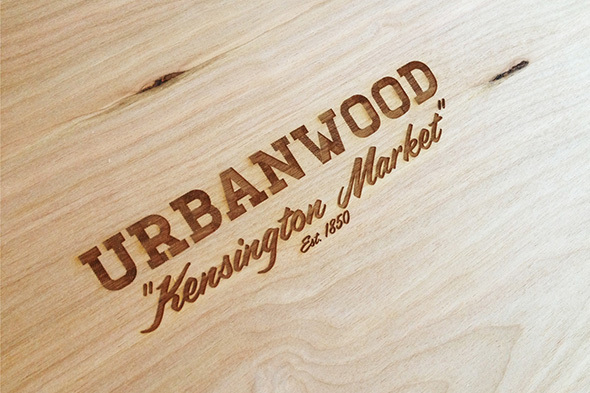 Etched on reclaimed wood, the Urbanwood line is an elegant example of modern cartography. The company started by mapping neighbourhoods close to home, but has branched out into other cities. As far as Toronto selections go, there are currently templates for The Annex, Distillery District, Junction, Kensington Market, Leslieville, Parkdale, Trinity-Bellwoods, and Wychwood. In addition to these stock offerings, N Product also makes custom maps for just about anywhere they can source map data. "Our process is quite straight forward,co-founder Dominic Coballe explains. "We use Google map data to identify the 'hood. Simplify it with line weighs and icons for parks and waterways, and then add in a unique typeface for each locale. It takes about six to eight hours for each map." Prices range from $100 to $300 depending on size and the nature of the order (custom or otherwise), and there's also a "poster" version on regular wood that comes in at $150. More details and custom order options are available on the N Product website.